I needed to rent a room in a place where there wasn’t noise. The studies were strong, I needed silence and peace to keep reaserch Such an ignorance to think that everything could be flowers even close to spring and the world was similar to that rainbow so loved by me. I searched a dreamed dwelling house for two months before the trip. I asked people, groups, friends of friends, communities, but I didn’t feel confident about renting anything by internet. - Fulana, where will we live? Have you already talked to a landlord? - I haven’t, Beltrana, it’s very hard. I found, in a community, some pictures of a very beautiful studio. The decoration had tones of purple and red and it looked like so modern, breaking into old city historicisms. I booked a visit. The condition for living there was always the same… There’s noise on this street? I walked around, I saw the houses, the people, the market. There wasn’t anything stamped there. It looked like a desert place only with houses and one or other restaurant. It was perfect. The real state agent told me the same thing, there wasn’t noise over there, it was perfect to study. The landlord, owner’s proprietary, confirmed this information in person, the calm of the environment, saying to trust in his word from Portuguese person. In this moment, I saw how Brazilians had bad fame in these places. We are known for tricking people, having a “little way” in everything, at least this was the reception that I had. Europeans look like, lots of time, sainted if you compare with us. I’ve always thought it, and I gave myself. The deposit was expensive, more the rent, almost 1.000,00 euros for being in that room. That’s horror. I moved there so excited. In this first day, on Tuesday, I couldn’t sleep. The street was made of night clubs disguised. Anything had board or banner, the night clubs were similar to houses, and people were under my window screaming, drunk until breaking dawn. 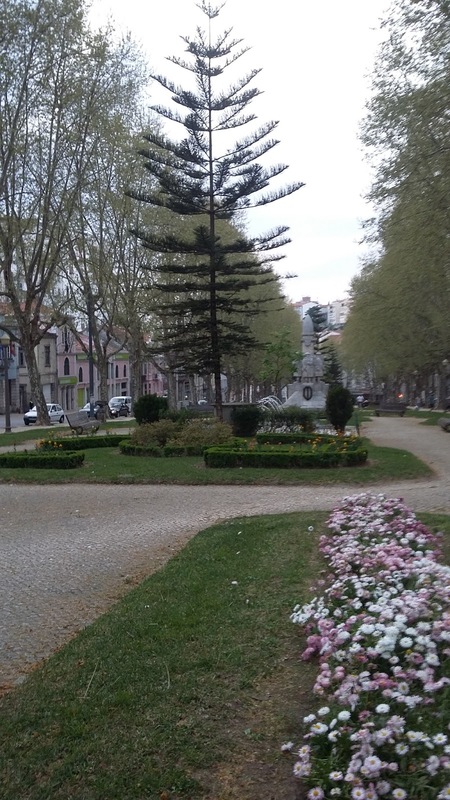 I was living in Praça da República from beauty Coimbra. Four days awake. I had to move to another studio more expensive which belonged to the same owner. How about your word, baby? I think it is stuck on huge literature from this place.